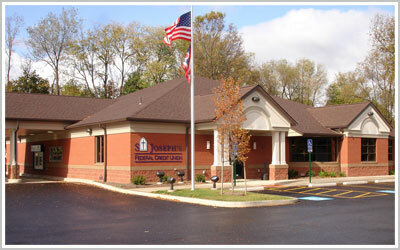 St. Joseph’s Federal Credit Union was chartered on March 9th, 1942. 1942 marked the beginning of World War II and it was also the beginning of St. Joseph’s Federal Credit Union in January 1942. The nine members of St. Joseph’s Roman Catholic Parish in Canton, Ohio who chartered our credit union with Farm Credit Administration (NCUA-National Credit Union Association) were Ralph Bederman, Victor Gosiewski, Margaret Long, Eleanor Ungashick, Fred Bergmann, Anna Kennedy, John Waltz, Ralph Kotheimer and Bernard Whaley. The Credit Union was given Charter #4884. At the end of the first year of operation, the balance sheet read $1,004.00 in assets, 126 members, and 12 loans made that year. In 1944, the Credit union started doing business in the basement of St. Joseph’s Catholic Church. Business was carried on here for a number of years with Bernard Whaley managing the Credit Union. It was in 1958 that the need for more space was felt and so the Credit Union moved to an office at 115 Clarendon NW. The next year in 1959, Walter Zuber took over management. The Credit Union continued to grow moderately and the balance sheet of 1965 revealed assets of $615,199.00 and 1,038 accounts. It was 1971 before we reached our first million dollar mark in assets and it took 10 more years to reach the second million dollar mark. Our number of members grew to 1,845. With continued growth, it became obvious that a new and larger office was needed and so in 1982 the move was made to 3211 West Tuscarawas where we remained for 6 years. In May of 1982, again checking our progress, we note that the balance sheet of December 31, 1986 revealed assets had grown to $4,650,000.00 and membership stood at 2,396. During our stay at 3211 West Tuscarawas, some significant additions were made including share drafts, Visa cards, student loans, and getting our own in-house computer system. These additions helped to make the Credit Union grow. In 1976 the Credit Union opened membership to St. Joan of Arc Church and in 1988 opened membership to St. Michael’s Church. In 1987, we reached another great milestone; we attained the five million dollar mark in assets. Again growing pains revealed that the facility at 3211 West Tuscarawas was not adequate and so a search was on for a new home. The decision was made to move to 1901 Whipple Ave NW, and so on August 12, 1989; we opened the door at this new address for business. In January 1999 assets at that time were $15,916,775.75 and membership stood at 4,800. The 1901 Whipple Ave office was experiencing growth and a need for expansion. In, 2001 we needed to expand the office to include a second office space. On October 1, 1996 St. Peter’s (Canton) Parish FCU merged with St. Joseph’s FCU. On June 9, 2006, St. Joseph’s FCU had a staff of seven full-time employees, seven part-time employees, and 26 million dollars in assets and over 5,000 members. The credit union began building in January of 2008 and has taken up occupancy at 1811 Whipple Ave NW as the new main office. This is the first time the Credit Union has owned our own building. We moved into our new location on August 11, 2008. 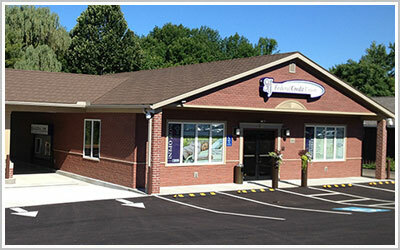 On July 2nd 2010, STJ FCU opened the first Credit Union in Louisville, Ohio. As we continue to grow in the area, the credit union decided to move its Louisville office from downtown to its own full service branch office at 315 Sherban Court, on July 1, 2013. We look forward to serving the Louisville and East Canton communities for many years to come in this newly renovated location. The success of our history and the future of St. Joseph’s Federal Credit Union lie in its most important asset - the staff. As the St. Joseph’s FCU staff, membership, and assets continue to grow, our success will inevitably prepare us to meet the challenges we will face in the next millennium. We feel that the growth of the Credit Union can be attributed to dedicated volunteers who serve on the board and committees, to a capable manager and competent staff and an excellent membership. We would like to thank the dedicated volunteers who have served on the board of directors and to faithful, committed members who realize the benefits of belonging to a member owned financial institution. Our brick and mortar will stay the same for awhile, but our membership, services, and assets, will continue to grow.